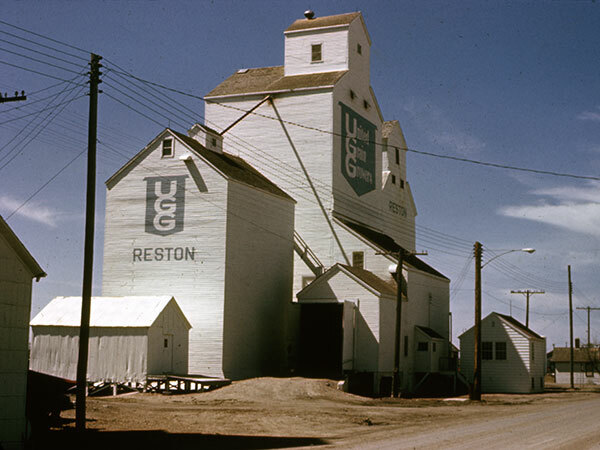 In 1912, the Manitoba Grain Commission leased three grain elevators that it had purchased at Reston, on the CPR Arcola Subdivision in the Rural Municipality of Pipestone, to the Grain Growers Grain Company, predecessor to United Grain Growers. 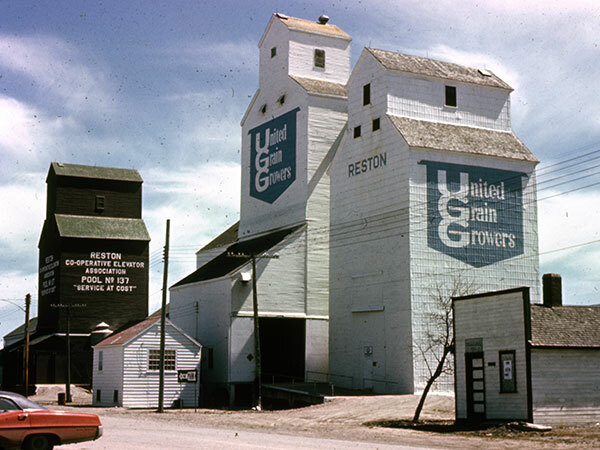 UGG bought one of them in 1926, acquiring a second elevator at Reston in 1943 from McCabe Grain, which had bought it from Lake of the Woods Milling. The second elevator was demolished in 1947. 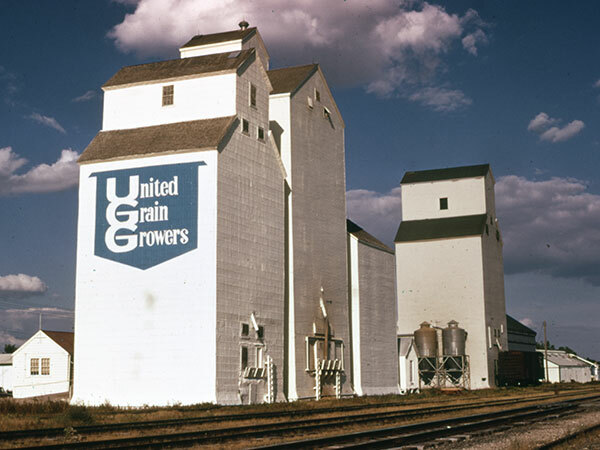 UGG supplemented its elevator with a new one, opened officially at a ceremony on 10 August 1959 attended by President J. E. Brownlee. The elevators were demolished around 2001. 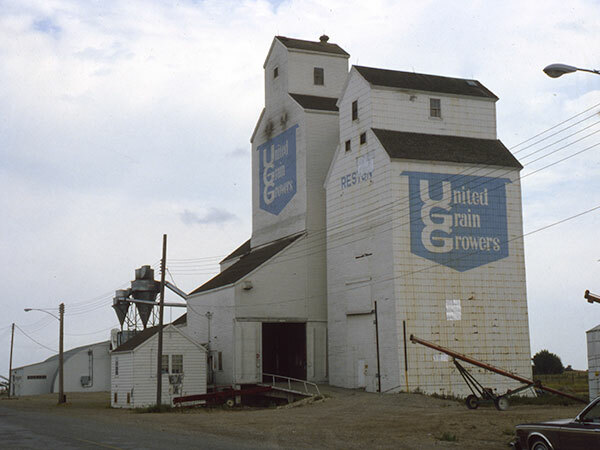 United Grain Growers Fonds, Box 60, MSS 76, University of Manitoba Archives & Special Collections. We thank Bill Busby for providing information used here.